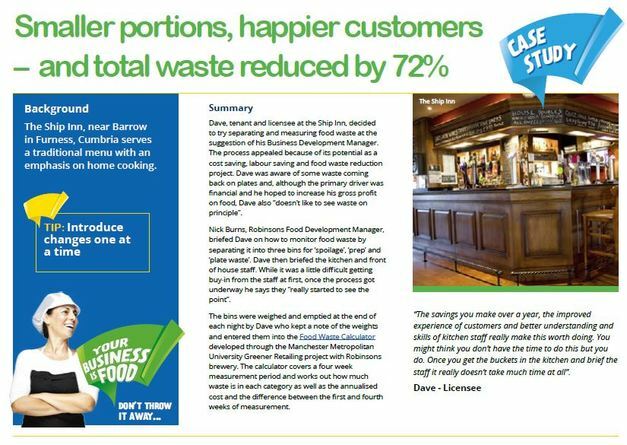 Dave, tenant and licensee at the Ship Inn, decided to try separating and measuring food waste at thesuggestion of his Business Development Manager. The process appealed because of its potential as a cost saving, labour saving and food waste reduction project. Dave was aware of some waste coming back on plates and, although the primary driver was financial and he hoped to increase his gross profit on food, Dave also “doesn’t like to see waste on principle”.